We want to continue to spread the knowledge that this is possible, we feel that it is almost a mission for us – to spread the word! That’s why we would like to publish an interview with Helen Philips who is an excellent instructor and dog trainer. Enjoy! 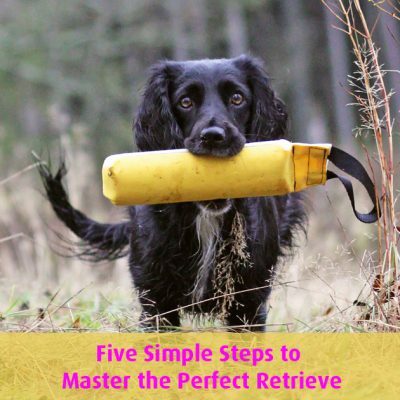 Does: Clicker Gundog Training. Helen Phillips has been shooting for many years with her team of Hungarian Vizslas. The dogs accompany Helen and her husband on a range of different types of shoots from large commercial events to a pleasant day rough shooting. 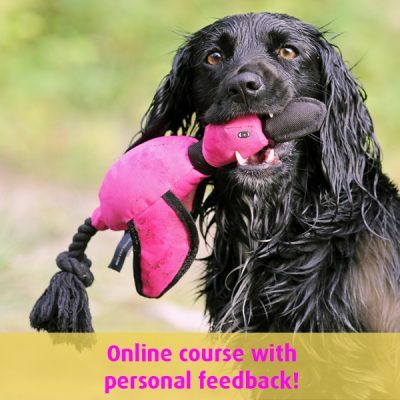 Helen has Distinction in the certificate in Canine Training and Behaviour and has taught the same course at two levels for 6 years at Warwickshire College. She also has the City and Guilds qualification in Teaching. Has obtained the Learning About Dogs CAP levels 1, 2 and 3 with Distinction. 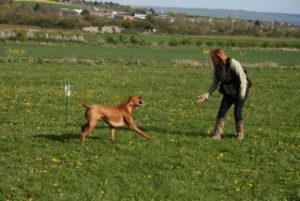 She also teaches a variety of clicker training courses at Learning About Dogs and has over the last two years developed a shoot especially for the purpose of training gundogs and currently teaches a variety of gundog courses using these facilities. 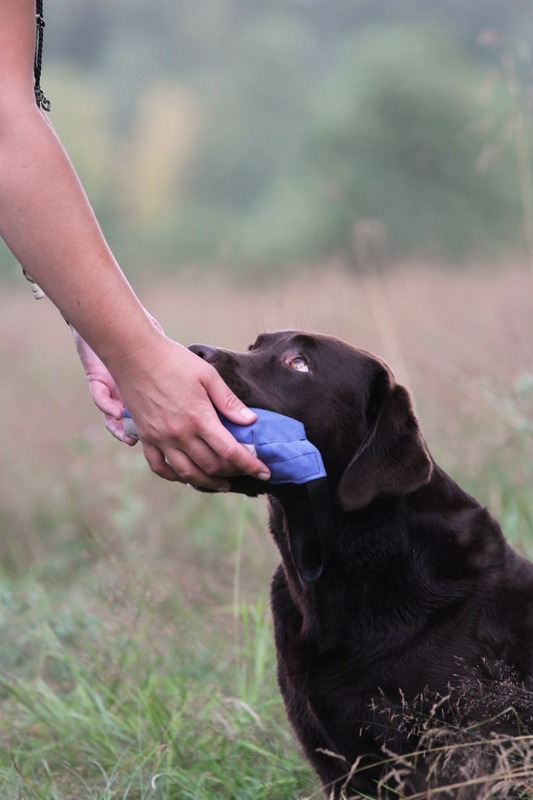 She has travelled extensively around the world presenting both clicker training and gundog training workshops and seminars. Helen is also the author of the book Clicker Gundog. 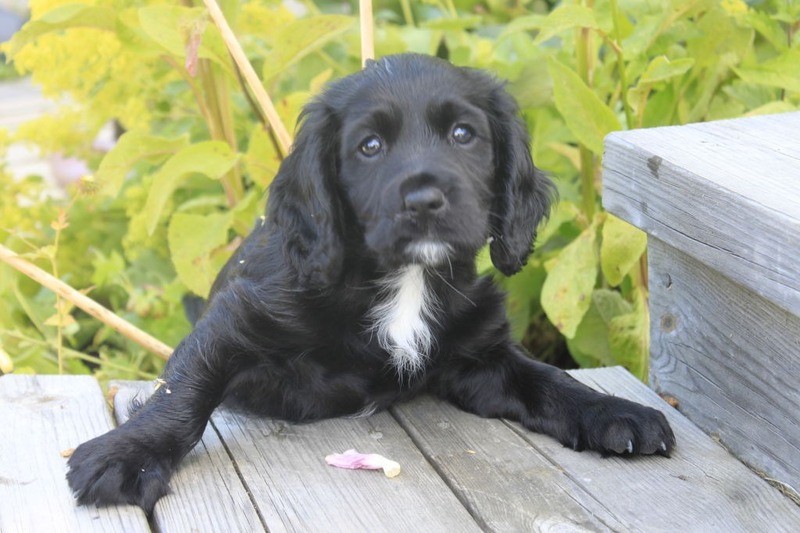 Read more about Helen her courses on the Clicker Gundog Facebook page. Dogs: I have 3 Hungarian Vizslas, Ziva who is nearly 5, Jack an entire male who has just had his 4th birthday, and Scout who will be 3 this year. I was introduced to the sport many years ago when I met my husband. I love watching the dogs work, learning to read them and anticipate what they are going to do next, the first dog I worked was a mix between a spaniel, GSD and collie, and it was amazing to see her take to hunting like she had always done it. So I had the bug and set about finding out all about the different roles involved. Rough shooting is my real passion and the HPRs are designed for this discipline. I love that they get to do all the tasks and I get to shoot at the same time. For me there is nothing better than watching your Vizsla hunt well, strike a scent, point and flush, shooting the bird and then the same dog does the retrieve. If I had to choose between the hunting or the retrieving jobs I would go for the hunting every time. For me it’s about education, teaching and learning. 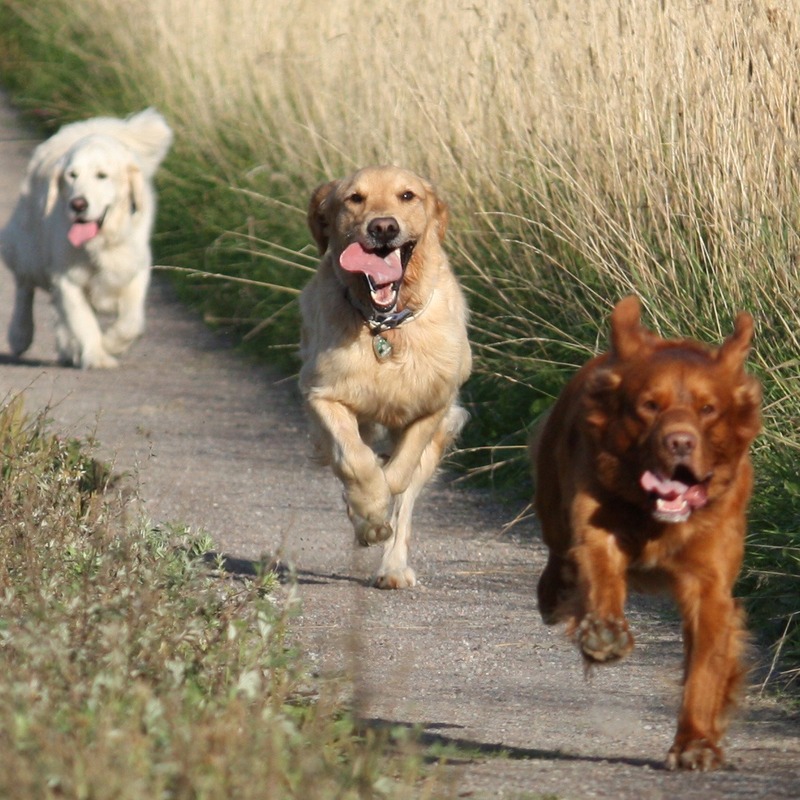 Encouraging people to be more thoughtful about their dogs needs, developing good observation skills, allowing the dogs to develop their own learning style and encouraging choice based decisions. It’s about focusing on setting up for success, building relationships and encouraging teamwork from both sides. It’s not just about training the dogs but educating the handlers about how to hunt! Because the emotional state of my dogs, their long term health and welfare and my relationship with them are my main priorities. Yes I think that there is the possibility of becoming ‘passive’ and this shouldn’t be the case, to use this philosophy well it’s not just about reinforcement, it’s about being pro active, being able to adapt to meet the dogs needs, they are very much individuals as we are and as such have individual learning styles. It’s easy to get locked into doing things the same way all the time and this doesn’t work. Kay Laurence was my mentor for many years and instrumental in encouraging me to show that there are other ways to approach the training of gundogs. Ken Ramirez because he is open and refreshing when discussing all the different methods out there and encourages me to question things rather than just accepting them. Jesus Rosalez Ruiz from Texas University who investigates the myths out there and provides substantial evidence for discussion. For me it’s not about regulating it but accepting that it is present and will always be a part of the activity that we do, the skill is learning to channel it in a productive way. Patience and taking time are building blocks for success. 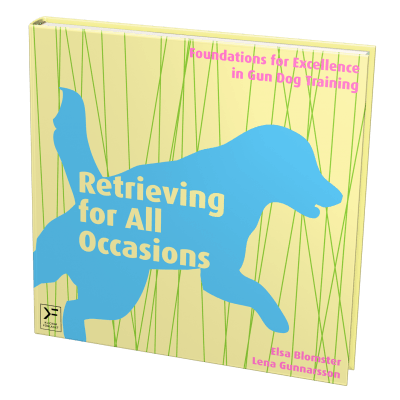 Each dog is different and the triggers that build arousal are individual, learning to recognise these early on and then adapting the training is very important. For me it’s simple ‘building a relationship and connection’, if you have this then the rest is just behaviour. Thank you very much for this interview, Helen! Good luck with your dogs in the future.